As medicine becomes more complex, it takes special leadership to oversee the eight different programs that make up the School of Health Professions at The University of Texas Medical Branch at Galveston. The Texas Health Journal interviewed Dr. Vicki Freeman, Ph.D., MASCP, MLS (ASCP)cm SC cm, FACB, the interim Dean of the School of Health Professions at The University of Texas Medical Branch at Galveston, about the training of medical professionals. As interim dean, how do you handle the diverse programs that fall under the umbrella of the School of Health Professions (SHP)? One of the greatest challenges for a SHP Dean is the diversity of the programs in the school. As Dean, it was important that I valued each program for its contributions to the school as well as to UTMB. Each program is unique in what it brings to the school. For example, students in several programs are involved in direct patient care, whereas for others, such as those in clinical laboratory sciences, the patient care is more indirect. One of the most important aspects of being the SHP dean was to provide open communication and transparency between the Dean’s office and the department chairs and faculty. I maintained an open door policy where any faculty member was welcome to meet with me to share their concerns. Additionally, I encourage the Dean’s Office staff to share information and processes to move forward with departmental initiatives. The future of healthcare seems to be in bridging the knowledge gap between patients and their physicians. What are some ways that the programs at UTMB SHP are addressing those issues? The SHP programs are finding ways to be part of the healthcare team through interactions in clinical rounds and reports. 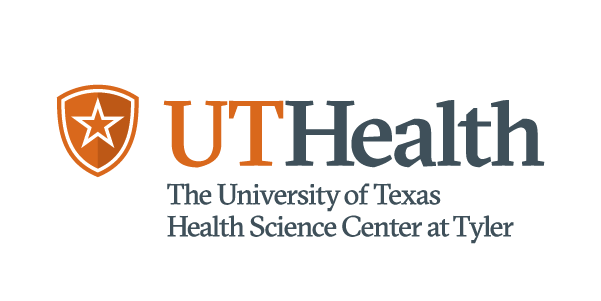 I have advocated for the UTMB health care system to establish new care models that include interprofessional teams with SHP professionals and students. These care models allow for the bridging between the physician and the patient. With the new Doctorate of Clinical Sciences program (DCLS), the curriculum includes the knowledge and skills needed to educate the patient, public and health care professionals about the meaning of laboratory tests. I have just completed leading a team of Department of Physical Therapy students and faculty to Kenya where we saw first hand how physical therapists can be involved in helping physicians better serve their patients through interprofessional teams on clinical rounds. These students taught a variety of patients, including stroke, burn and back patients, specific exercises and positioning techniques so that the patients can take care of themselves rather than relying on medications to alleviate their pain. Given that most diagnoses and treatments of diseases are determined by laboratory results, how important do you feel it is that UTMB SHP offers a doctorate in clinical laboratory sciences? The implementation of the DCLS program puts UTMB on the cutting edge of an exciting new career path for CLS professionals. It is the second program to be established in the U.S. and the only program in Texas. The DCLS program complements and strengthens the undergraduate, graduate and professional programs offered at the UTMB. The DCLS professional will improve patient outcomes and increase cost effectiveness by working with pathologists to assist the primary care providers. This new level of practitioner will serve in consultant roles, assess test utilization, and manage patient laboratory data as a member of an interprofessional healthcare team in an effort to support quality improvement and reduce diagnostic errors. This practitioner conducts clinical research and outcomes studies and applies the results to clinical practice. They develop new test methodologies and identify new analytes helpful in diagnosis and treatment assessment. They determine the cost effectiveness and medical benefits of introducing new test analytes. The practitioner also participates in making health care policy decisions; consults in reimbursement, advocacy, and ethics issues; provides expert witness testimony; and participates in health care services delivery and access capacities (such as laboratory resource management).They will develop and implement critical paths and laboratory test algorithms, participate in interdisciplinary rounds, serve as faculty in Clinical Laboratory Sciences programs, perform research and apply outcomes to practice. The DCLS also will serve a role in helping primary care providers make efficient and cost effective use of laboratory testing. Can you speak to how this degree will train healthcare professionals to be better at interpreting laboratory results? The DCLS is an advanced professional doctorate designed for practicing clinical laboratory scientists who wish to further their level of clinical expertise and to develop leadership and management skills. The purpose of the program is to develop clinical laboratory sciences graduates to function as practitioners, community leaders, educators, and scholars in the profession of clinical laboratory science and the discipline of clinical laboratory science. The post-professional clinical doctorate (DCLS) at UTMB provides the advanced skills and knowledge needed to lead the profession and promote evidence based practice. Students in the program take courses which develop their skills and knowledge in differential diagnoses using clinical information, laboratory tests, and published information. They acquire knowledge in the pathophysiology of various diseases, drugs metabolites, and metabolic disorders. Additionally, they participate in clinical rounds with residents and interns, laboratory diagnostic management teams, inpatient and outpatient consultations and review of clinical specimens in the laboratories with the attending physician. I know that with that program you were instrumental in expanding distance learning opportunities. How important do you think it is that education change to meet the needs of students who may not be able to come to campus because of other obligations such as family and work? I believe that every individual should have an opportunity to advance their knowledge in their chosen profession, even when their circumstances may limit their access. This philosophy comes from my own experiences with the educational system. With this guiding philosophy, I believe that it is important to provide multiple avenues for individuals to work on an advanced education and that it is our responsibility as an institution and as a faculty to provide students with options such as distance and web-based education. However, I also believe that students should receive the same quality of education whether they are on-campus or at a distance. Therefore, I am committed to providing educational experiences for students in a variety of settings and delivery methods through the development of quality education materials and resources. I believe students learn best through visual, interactive, and self-paced materials. All of our courses are developed and taught with this goal in mind. As your time as interim dean is wrapping up with UTMB SHP, what are some important things you have learned about the training of those in the healthcare profession? I can’t say that I have specifically learned anything new in the training of individuals in the health professions, but my knowledge has expanded to see that there are opportunities in all of the SHP departments to grow their programs. I have been a big proponent of nontraditional models of education, as addressed in one of the questions above. I think that, in order to meet the workforce needs and student demand, we must find ways to support the development of additional delivery methods for our programs. The faculty in SHP are very dedicated to producing quality practitioners and program development takes time and resources. In order for UTMB's programs to remain competitive, we must invest resources to develop new program delivery. Another thing that I have learned is that our students are very interested in global health and having international experiences. These experiences provide eye opening learning that allow students to develop relationships and training beyond the classroom. I hope to be able to continue providing these experiences to SHP students in the future. How do you feel being able to be there to celebrate the School of Health Professions 50th anniversary? I was honored to serve as the Interim Dean of the School of Health Profession as we celebrated SHP's 50th anniversary. As CLS (Medical Technology) was one of the founding programs in the school and the first of the six programs to be established at UTMB, it seems appropriate that I was serving in the Dean's position during our celebration year. Being able to celebrate with our alumni, faculty, staff and students were definitely a highlight during my time. What will you miss most about being the interim dean? I will miss the opportunity to advocate for SHP during interactions with UTMB leadership. The SHP chairs do not have the same opportunity to participate in the strategic and tactical planning sessions as the SOM Chairs, esp.in the clinical enterprise. The SHP Dean is the main interface between the school and university leadership. I will also miss the opportunity to interact on a regular basis with the students in the other health professions. In March of 2019, Dr. David A. Brown, PT, PhD, FAPTA, will become the new Senior Vice President and Dean of the School of Health Professions.